The Moroccanoil Smoothing Hair Mask is a highly concentrated mask for unruly and frizzy hair. Enriched with Arganbutter and essential fatty acids from the argan and coconut oil nourish the hair, so that the structure is supple, smooth and more manageable. Provides long-lasting, intense moisture while improving elasticity. Share Application A generous amount to towel-dried hair and comb through to distribute the product evenly. Let soak in 5-7 minutes. There is no supply of heat needed. Rinse thoroughly. Then it is recommended to seal the hair with Moroccanoil Conditioner. The mask weekly. 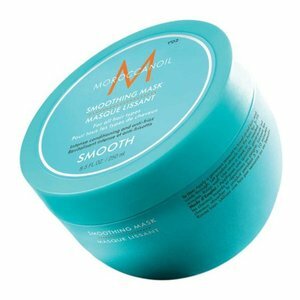 For thick, frizzy hair more shine and elasticity approximately one teaspoon of Moroccanoil Treatment mix with the smoothing hair mask.